Born in Texarkana, Texas, Duke Windsor served in the U.S. Marine Corps as a combat illustrator and drill instructor. He subsequently studied classical voice at San Diego State University, later performing with the San Diego Opera Chorus. An avid practitioner of the martial arts, Duke owned and operated a martial arts studio for seven years, eventually achieving the rank of 4th Dan Black Belt. 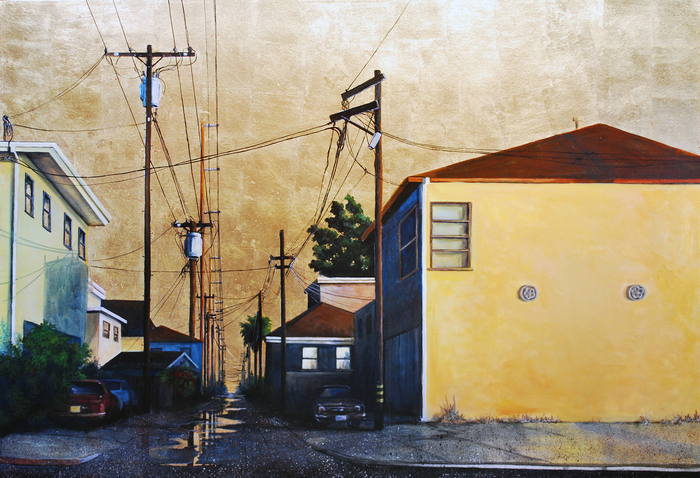 Windsor’s Urbanscapes have been exhibited and received awards at juried exhibitions, group shows and corporate venues in San Diego and Southern California, and they are held in many private collections throughout the U.S. and Europe. 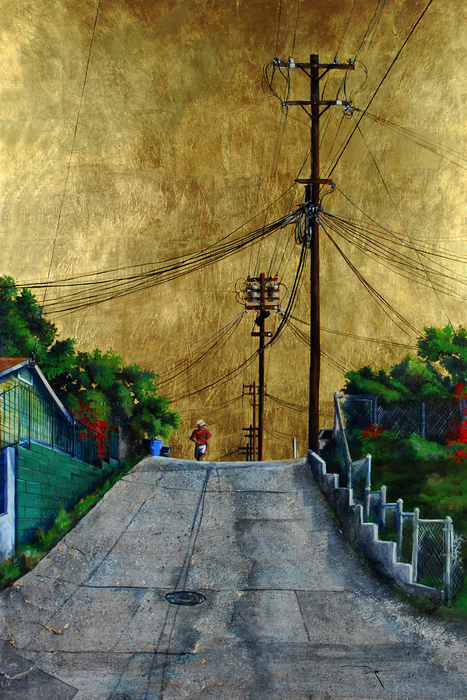 Windsor is an Associate Artist member of the California Art Club, Oil Painters of America, International Acrylic Painters Association, San Diego Watercolor Society, and Foothills Art Association. 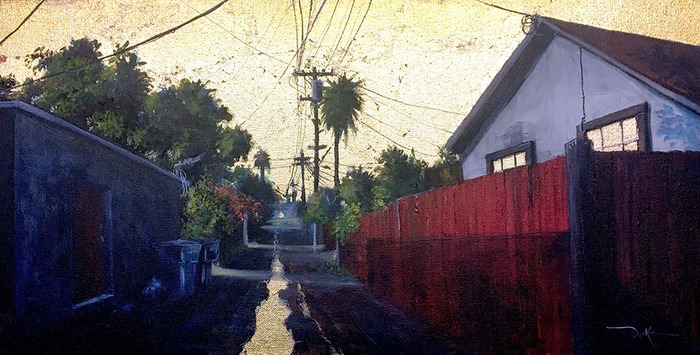 Windsor is former Education Chair of the San Diego Museum of Art Artist Guild and has also served as a member of the Public Arts Selection Committee of the San Diego Regional Airport Authority Art Program. Duke is a highly sought-after art educator who has taught art to both adults and children at numerous venues, and he has juried many local and regional art exhibitions. Duke has over 15 years of museum exhibit design experience. He is currently working a new body of work and is also accepting new art commissions. Windsor's studio is located on Mt. Helix near the city of La Mesa, California. Southern California is known for its golden skies and jewel-like reflections on the water during sunset. 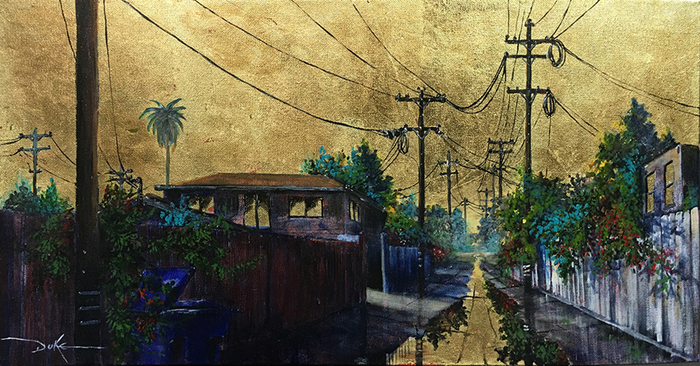 This collection depicts "Urban-scapes" evocative of the grand tradition of landscape painting but with a decidedly contemporary twist-the suburban and urban alleyways of Southern California and explores the combination of acrylic and applied gold leaf. Southern California is known for its golden skies and jewel-like reflections on the water during sunset.